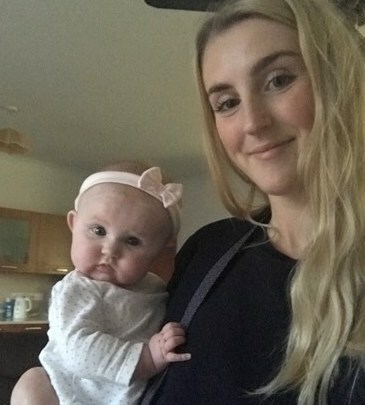 Joyce Townley from the Payroll Department here at K.A.Farr & Co. is raising money for treatment for her 11-month-old baby granddaughter Emie. Emie has been diagnosed with having Plagiocephaly (flat head syndrome) and Brachycephaly, which requires her to be fitted with a customised cranial helmet called a DOC band and the treatment has to be started before she is 14 months old. Unfortunately, the treatment is only available privately which means the money needs to be raised in a very short space of time to give her the best future possible. Once the band has been fitted Emie has to return to the clinic, initially twice a month then once each month so that they can monitor and make adjustments throughout the course of her treatment.